At Diamond Pain Relief & Wellness Center we strive to achieve the highest level of professionalism and expertise in order to guarantee your satisfaction and comfort. As a Precise Private Practice, we ONLY accept clients and patients into our practice by request or referral, and ONLY if we are 100% sure we can help you achieve your precise clinical goals! We have listed a few of our policies below to create the ideal client-centered relationship. This HIPAA act protects a client’s personal information from being shared with any outside parties. An exception is if you give written consent for release of your records, records are required by law or court order, or if you pose a danger to yourself or others. Client records are required to be kept for at least 4 years beyond the cessation of services. At Diamond Wellness we keep records for seven years. These records are stored securely and, if and when they are disposed of, are also handled securely. Our goal is to help you achieve the fastest, most comprehensive results in the shortest amount of time! 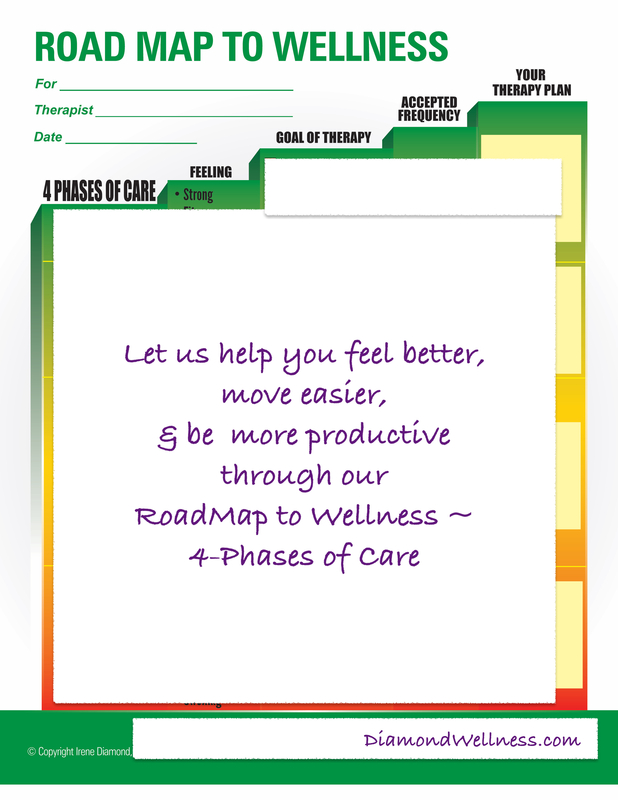 We follow a 4-step path, we call the Roadmap to Wellness. We take you from exactly where you are and move you through the 4 phases, ending either with the 3rd phase which is supporting you to maintain the level of wellness you've achieved, or bringing you to phase 4 which is guiding you to your highest level of fitness for extreme fitness activities, childbirth (see how they go together?) or other higher-than-usual levels of fitness and activity. Our front desk team will ask you precise questions prior to booking so we know which practitioner would be best for you and the exact service or program that will help you get your best, fastest results. Our service providers speak with you prior, during, and after the session to be sure your needs and goals are being met. Our director, Irene Diamond, R.T., over-seas your care and will advise, support you, and can communicate with your other health-care providers (as needed) to assure everyone on your wellness-team is on the same page. Through our 3-team approach, we ask you to be completely honest, and forth-right with your experience, physical and emotional feelings, and communicate with us each step of the way. We invite everyone to 'Like' and follow our Facebook page, Twitter account, and Google+​. personal request as a "friend"! 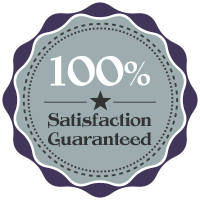 Also, we encourage you to leave a positive review directly on our website, here. others may know of and be inspired by your experience! Payments may be made to your provider directly by cash, check (local), or credit/debit card. bank charge and the matter must be cleared up within a maximum of 10 days. Unless otherwise stated, prepaid programs may only be used by the original person and are non-refundable. We may be able to help you with insurance billing at an additional per hour administration fee. We can help you navigate through this crazy mess to see if and how you can get reimbursed. We might be able to bill for services for care after a Motor Vehicle Accident (car accident). Just ask us. Most companies allow their employees to use their Flexible Spending Account or Health Savings Accounts for services provided at Diamond Pain Relief & Wellness.